Looking for an easy fluff salad recipe to add to your dessert table? 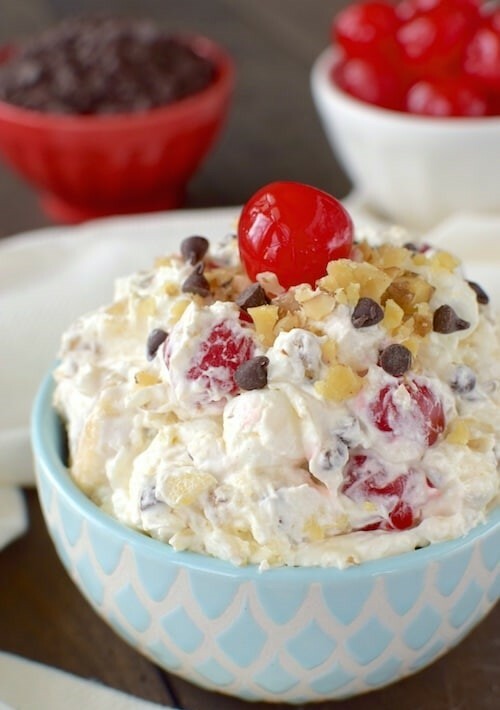 This Banana Split Fluff Salad is a creamy fruit salad loaded with all your favorite banana split toppings. Stir everything into one bowl, and it’s ready to go. Bring a bowl of the best dessert salad and a Banana Split Bundt Cake to your next picnic and watch everyone devour the sweet goodness. 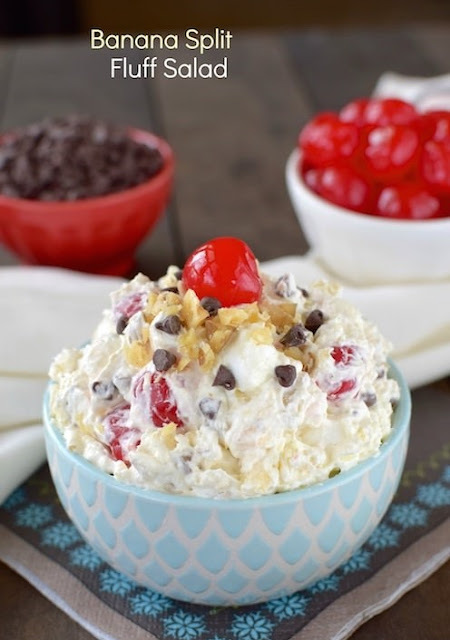 Creamy pudding, crunchy nuts & chocolate chips, and juicy fruit all in one bowl! Dang it, now I’m craving another bowl of this Banana Split Fluff Salad! Time to whip another banana fluff pudding dessert. Stir together the pudding mix and pineapple until dissolved and thickened. *Stir in the bananas right before serving. Or dip the banana slices in lemon juice to keep them from browning too quickly.